Chen lets me know exactly what I should be working on, extremely valuable information for a novice, as there are so many different aspects of 汉语 to focus on! She made all points crystal clear, adapted to my pace. Am very much looking 4ward to next class! Very friendly and interactive lesson. My teacher Vera is a very demanding teacher – making me work so hard! And my Chinese assistant, Yvonne, always following up to check my learning and arrange the classes for me. I’m very satisfied with the teaching and service. Thank you! Great fun 🙂 My teacher is patient and informative! She is very keen to teach me grammar and vocabulary which is practical, to aid my daily Chinese which is extremely useful. I feel that I am improving everyday! It was really fruitful class I learn a lo. Teacher was so genius and friendly. 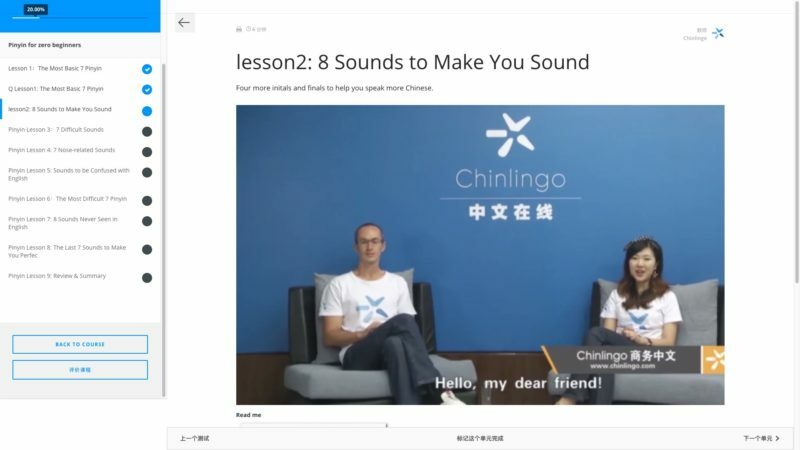 I will recommend Chinlingo to all Chinese learning students. Thank you Chinlingo for such wonderful classes. The teacher is very good. She is very nice, speaks clearly, explains things. And her English is excellent. I learned a lot! Jaden is an excellent teacher. He made me feel comfortable and he explained in detail before I was even able to ask the question. I enjoyed the platform it was easy to operate. Experienced Chinese teachers (over 3 years), young and enthusiast Chinese teachers are at your disposal anytime. From pronunciation to words, and from vocabulary expansion to complete conversations, all are concise, interesting and easy to learn. 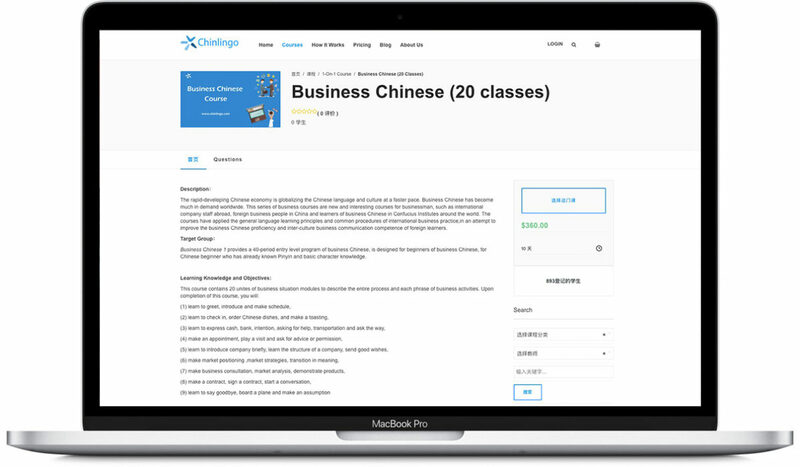 Practice immediately after classes with other members in an organized group with Chinlingo’s most experienced teacher. Listening: Audio-based questions gauge your level of oral comprehension. Reading: Ten questions on a short text will assess your reading comprehension in Chinese. After communicating with your current level of Chinese or a quick 10 minute placement test, we invite you to experience a 20 minutes to our interesting and effective class with our passionate and professional teacher. Learn Chinese Pinyin with interesting short clips! 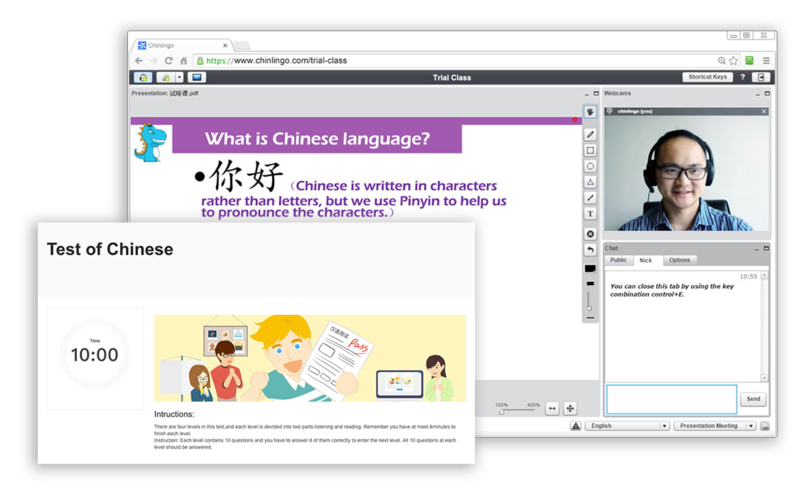 Chinlingo Chinese Dialogue helps you understand more about Chinese language and Chinese business culture. Focusing on each student’s individual level, interests, and goals, our 45-minute private classes are the most effective way to achieve impressive learning results. Whether you want to explore Chinese culture, preparing for an exam, an upcoming business trip or a presentation at work, our teachers will be happy to assist you in reaching your goals. Request your own topic, date, time and make an own learning plan with a private teacher. Experienced Chinese teachers (over 3 years), young and enthusiast Chinese teachers are at your disposal anytime. Most teachers are graduated from Major of Teaching Chinese as a Second Language. At least 1 year overseas teaching experience and the Certificate of International Chinese Teacher make our teachers highly qualified and professional. All of our teachers are fluent in Chinese . They are highly qualified and trained to teach in an online environment to give their students the best possible learning experience. With passion and experience, our teachers will ensure a challenging, effective, yet fun way of learning for each student. Majored in Teaching Chinese as a Second Language. 3 years at college in Thailand, 2 and half years at Confucius Institute in UK, one year in Xiamen University. My students, aged from 4 to 81 years old, come from all over the world, with various language & culture backgrounds. I have been well popular and have made many good friends along the way. Flora Hao, a master of Teaching Chinese as a Second Language. She has taught mandarin in New Zealand for two years, helped lots of students with their mandarin. Many people think mandarin is so hard to learn, but not with her. no matter what your goal is. Having rich teaching experience Chinese teaching. During 2013-2014, she was a presenter in Chinese Embassy in UK;Teacher in London South Bank University. A dedicated and experienced Chinese teacher who creates a positive learning environments for students based upon mutual respect and trust. She got Bachelor of art at the major of teaching Chinese as a foreign language. which is a part of what makes her keep working in this field in different countries for the past 4 years. gave lessons to students ranging from the beginner level to the advanced level and from countries including South Korea, Japan, Britain, the US, and Denmark. The rapid-developing Chinese economy is globalizing the Chinese language and culture at a faster pace. Business Chinese has become much in demand worldwide. Chinese learners who have a weak foundation of Chinese learning but plans or hopes to travel to China. 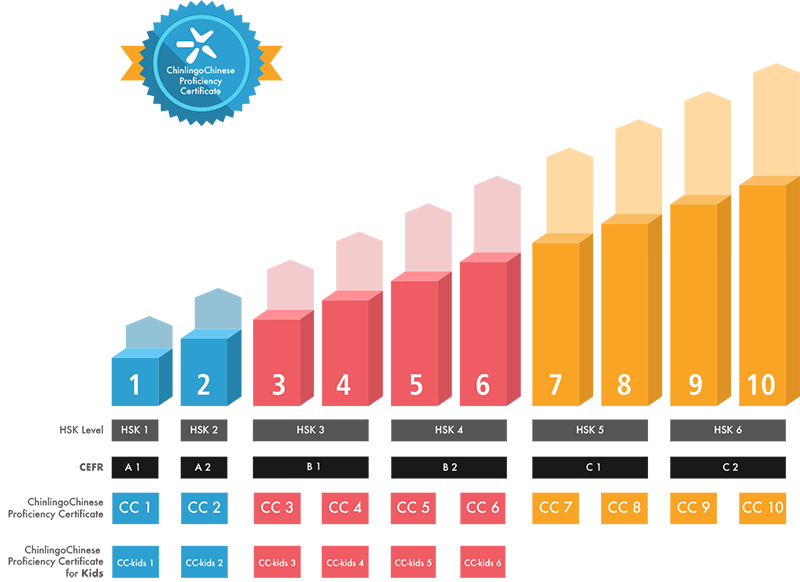 Develop the skills you need to pass your HSK1-6 tests with our online preparation courses. 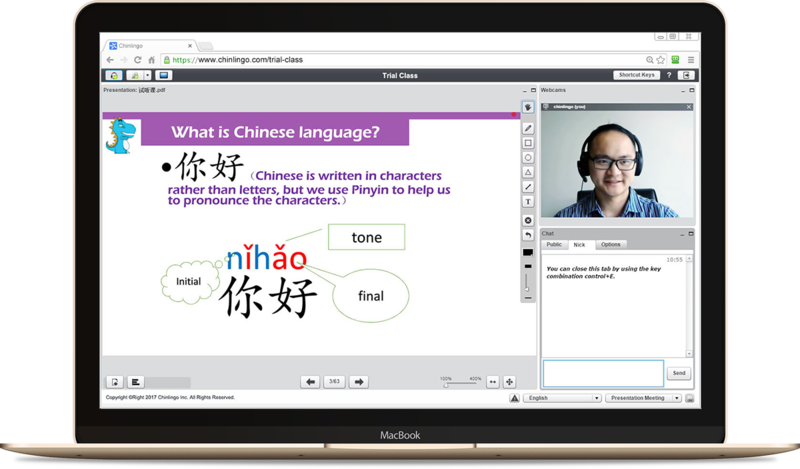 You’ll earn a certified Chinese diploma for each level you pass, making it easy to demonstrate your Chinese fluency to friends, universities and employers worldwide. You can even add your certification to LinkedIn with just a few clicks.